Your sleeping problems could be directly attributed to your COPD symptoms such as coughing, wheezing, or shortness of breath, but those aren’t the only culprits. Today we will take an in-depth look at what can cause your insomnia with COPD, and the actionable steps that you can take to improve your quality of sleep. 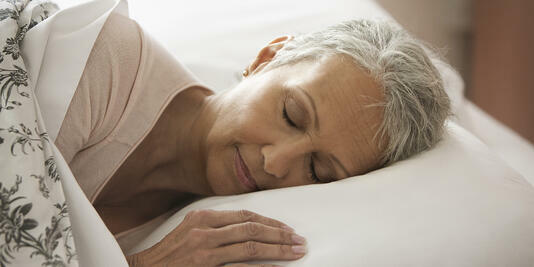 Sleep is an integral part of COPD management and overall health. It allows your body to rest and recover from the day while also giving your body time to repair itself. Whereas a lack of sleep can weaken your already damaged immune system and increase daily levels of fatigue. Let’s start by looking at the common sleeping problems experienced in patients with COPD. With a COPD diagnosis there can be multiple underlying causes for your sleeping problems. If you begin to experience problems falling asleep or staying asleep, you should speak with your doctor. A sleep study will be administered so your doctor can better assess the direct cause(s) of your sleep problems to more accurately treat them. Like all medications, the meds used to treat and manage your COPD have side effects. Though the list of side effects are long, the regular use of bronchodilators can cause sleep related issues. Additionally, you should pay attention to medications that cause you to urinate frequently, as regular trips to the bathroom throughout the night cause further sleep disturbances. 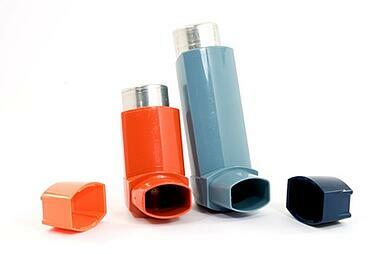 You should mention any sleep problems to your doctor when taking any type of bronchodilator. The tell tale signs of COPD, coughing, wheezing, and shortness of breath can all affect your ability to fall asleep or to stay asleep throughout the night. Constantly coughing while trying to fall asleep can make it nearly impossible, while shortness of breath or coughing can abruptly wake you in the middle of the night. Not to mention, the anxiety and stress associated with COPD can have your mind running rampant at night and can easily prevent you from falling asleep. Did you know that your sleeping position could be affecting your quality of sleep? Often times, you may find it difficult to breathe while lying flat in bed. This is due to the fact that you already have restricted lung function due to COPD, but when lying down you are only further restricting your lungs capacity. Which can cause your blood oxygen levels to drop even further. This is simply due to the fact that when laying down, your diaphragm has to work extra hard to inflate your COPD impacted lungs. This restricts your lungs capacity, which can lead to a further decline in blood oxygen levels. But on the other hand, sleeping in an elevated position may help relieve feelings of shortness of breath. When you are asleep your body’s respiratory rate naturally slows, something that goes unnoticed in healthy people but is often disruptive if you have COPD. This change in breathing rate results in varying levels of oxygen in your blood during the night. An inadequate supply of oxygen in the blood can result in low quality of sleep, sleep disruptions, morning headaches, and daytime tiredness the next day. To prevent additional complications imposed by low blood oxygen levels, your health care provider may run a few tests to assess whether low blood oxygen levels are the cause. If so, you may be put on nighttime oxygen therapy. Let’s start off by answering the question swirling around in your mind, what is obstructive sleep apnea (OSA)? Simply put, obstructive sleep apnea is a condition when a person stops breathing for a few seconds and then begins to breathe again. This pattern continues all throughout the night, which worsens COPD symptoms and can be life threatening. When there is a presence of both COPD and sleep apnea, you have what is known as overlap syndrome. 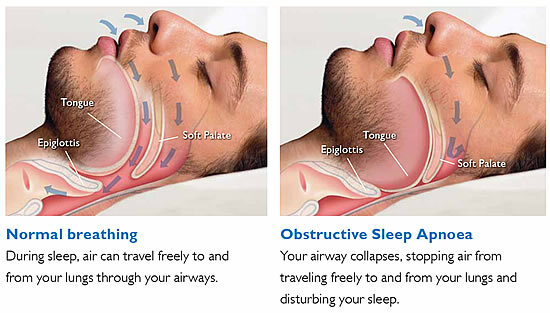 Often times, tell tale signs of sleep apnea are either loud mouth breathing or snoring. Causing frequent daytime sleepiness. Although sleep apnea is not directly caused by COPD, the presence of COPD alone can worsen the severity of your sleep apnea related symptoms. It’s estimated that 10%-15% of COPD patients also have obstructive sleep apnea (overlap syndrome) according to the COPD Foundation. With a diagnosis of chronic obstructive pulmonary disease, you are automatically at an increased risk of developing mental health problems such as depression and anxiety than a healthy person. These mental health problems could be the direct cause of your insomnia. With the progressive nature of COPD it's easy to see how your mental health can decline over time. Slowly watching your ability to do things you enjoy and once did with ease fade, many patients often lose hope. As the things that once provided much joy and entertainment now result in shortness of breath, fatigue, and excessive coughing. As a result of worsening symptoms and lost independence, you may experience an increase in depression, stress, and anxiety. All three of which may affect your ability to sleep soundly through the night. But all hope isn't lost, there are treatment methods and lifestyle changes you can pursue to improve your depression and anxiety while also improving your quality of sleep. Also known as gastroesophageal reflux disease (GERD), is estimated to effect over 50% of COPD patients with advanced stages of the respiratory disease. GERD is a chronic condition that causes your stomach acid to flow up backwards into the esophagus. Leading to throat irritation and heartburn that can abruptly wake you during the night, causing you to sleep restlessly. A regular occurrence of GERD can worsen the severity of your COPD symptoms and should be taken seriously, as it also puts you at an increased risk of sleep apnea and pneumonia. Restless Leg Syndrome or RLS is a condition that induces constant feelings of tingling or the frequent urge to move your legs, these symptoms are especially prominent at night. According to the University of Utah "1/3 of COPD patients may have restless leg syndrome". The symptoms of restless leg syndrome can frequently occur throughout the night, either preventing you from falling asleep or waking you up frequently during the night. No matter how mild you may think your symptoms are, if you begin experiencing symptoms of RLS don't ignore them. There are treatment options that you can pursue but only if you mention your RLS related symptoms to your doctor. 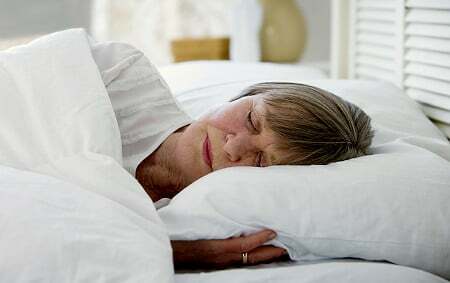 When faced with COPD, it may seem impossible to get an excellent night’s sleep. However, by adapting the following techniques you can start to reduce your sleeping problems with COPD. Helping to increase daily energy levels, overall mood, and lifestyle quality. Whether you have recently begun to experience sleeping problems shortly after being prescribed a bronchodilator, or have experienced this annoying side effect for years, it doesn't make it any easier to deal with or any less frustrating. If you think your COPD medications are making it difficult to sleep, or they causes you to urinate frequently during the night, schedule an appointment with your doctor and mention how these symptoms are making it difficult for you to sleep. Once your doctor addresses your sleeping concerns and symptoms, he/she may adjust the dosage of your medication or opt for a completely different treatment option. If this sounds familiar to your typical night, combat your breathing problems at night by adjusting your sleeping position. Instead of sleeping on your back, grab 2-3 pillows and position them so your head is propped up and elevated. The use of a bed wedge is also an excellent option (see photo). Sleeping in an elevated position will allow your lungs to expand more fully, helping to minimize sleep disruptions caused by your COPD symptoms. If you find sleeping upright uncomfortable, sleep on your side. Doing so will avoid causing tension in your throat and prevent from further hindering your ability to breathe. Furthermore, sleeping on your side will allow your airways to open up, minimizing breathing problems. Another option that many patients have found success in is sleeping in a recliner. The customizable sleeping positions make a recliner an ideal and comfortable option to help minimize breathing restrictions that would otherwise be imposed by laying down. What’s more, if you continue to experience difficulty sleeping even after adjusting your sleeping position. Speak to your health care professional about the addition of nighttime oxygen therapy or other treatment avenues you can pursue. If you're frequently being woken up in the middle of night due to a lack of oxygen that further worsens your shortness of breath or it’s preventing you from falling asleep in all. The addition of supplemental medical oxygen can help. However, medical oxygen is considered a drug, so if you are not already prescribed medical oxygen, your doctor will need to run a few tests to assess if oxygen therapy would be a viable treatment option. If you are already prescribed medical oxygen for use during the day or with exertion, tell your doctor about the sleeping problems you’re experiencing due to shortness of breath. Your doctor will schedule a sleep test in order to determine the problem. Based on your test results your doctor may prescribe nighttime oxygen. The addition of medical oxygen can help you achieve a more complete night’s rest. After being diagnosed with obstructive sleep apnea in addition to your COPD (overlap syndrome), your doctor may prescribe a continuous positive airway pressure device, also referred to as a CPAP machine. 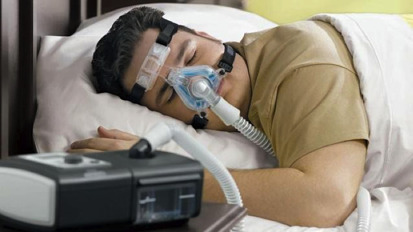 The continuous flow of oxygen from a CPAP machine that is delivered to you through a CPAP mask treats the sleep disrupting effects of sleep apnea. Additionally, your doctor may have you combine both oxygen and sleep therapy to treat your overlap syndrome. If you use an oxygen concentrator for your respiratory therapy, make sure it can be used in congruence with your CPAP machine. If you notice it's difficult to find a comforterable sleeping position with your CPAP mask, consider purchasing a CPAP pillow. 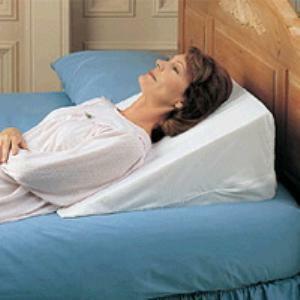 Which is specifically designed for sleep therapy users to increase your comfort and sleep quality. 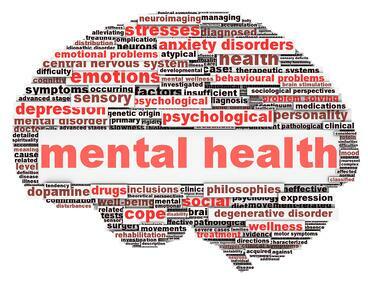 Are you struggling with a constant onset of depression and anxiety due to the toll of COPD? Mention these symptoms to your doctor and how they are impacting your ability to sleep at night. Your doctor can prescribe antidepressant or ant-anxiety medications to help minimize your feelings of depression and anxiety, while boosting your quality of sleep and overall lifestyle quality. Other options that help improve feelings of depression and anxiety include spending time with friends or family, exercising, speaking in a COPD support group, improving your diet, or getting outside on a sunny day to soak up the mood boosting power of vitamin D.
It’s vital for your well being to pursue treatment for GERD as soon as symptoms become noticeable. Leaving GERD untreated will result in the condition worsening over time. According to WebMd, if you let GERD go untreated you can damage your esophagus and increase your risk of developing esophageal cancer. If your acid reflux is one of the factors preventing your from going to sleep or staying asleep, your doctor can recommend medications that can improve the symptoms of GERD, as well as make diet recommendations to avoid certain foods that are known to cause heartburn. Over the counter medications can include antacids to neutralize stomach acid, medications that reduce acid production, or medications to block acid production that repair your damaged esophagus. If an over the counter approach does not combat your GERD, your doctor may turn to prescribed options or surgery as a last resort. When also diagnosed with restless leg syndrome it may seem near impossible to silence the frequent urge to move your legs. But we’re here with some excellent news, there are steps you can take to minimize the symptoms of your RLS. To help you better manage your RLS and increase your odds of sleeping soundly. Try things such as keeping a regular bedtime and wake up time, stretching before going to sleep, soaking in a warm bath, using a heating pad or ice pack on your legs, regular exercise, and moving your legs when they begin to ache or twitch. Supplements such as Calcium, Magnesium, Vitamin D3, and Melatonin can also help relieve sleeping issues related to RLS. Before taking any supplements, you need to first consult with your doctor to make sure they won’t negatively affect your COPD. On top of the adjustments discussed above, here are some additional tips to help you sleep soundly throughout the entire night so you wake up feeling refreshed and ready to take on the day! Stick to a Consistent Sleep Schedule: Condition your body to have a set schedule for waking up and going to sleep. The best option is to set an alarm for the same time every morning and then also setting an alarm to let you know it’s time to hit the sack. Minimize Nap Taking: You should do your best to avoid taking a nap during the day, especially close to bedtime. Even though you feel tired, avoiding taking a nap will increase the likeliness of you more easily falling asleep and staying asleep at night. Get Up & Get Active: You should already be well aware of the respiratory benefits exercise provides for your COPD ridden lungs. But exercise can also be an exceptional sleep aid. By working out for 30 minutes per day you will burn energy, calories, and increase your heart. Helping you to more easily fall asleep at night. However, you should avoid exercising 2 hours before bed. Before exercising, speak with your doctor. Don’t Hit the Sack on an Empty Stomach: Eat a low-calorie, high protein snack such as nuts, cheese & crackers, or a glass of milk. Avoid foods that are overly surgery or high in carbohydrates near bedtime. Especially since these types of foods boost your metabolism, causing you to stay awake for longer periods. Avoid Caffeine Close to Bedtime: Ideally you should try to cut caffeine from your diet completely, but if you need a little energy boost during the day, be sure not to drink caffeinated beverages at least 5 hours before going to bed to avoid worsening insomnia. You should also avoid alcohol with COPD to prevent any further problems sleeping or breathing. Harness the Power of Airway Clearance Techniques: Mucus blocking your airways can increase the severity of shortness of breath, making it increasingly difficult to manage breathlessness let alone fall asleep. Ask your doctor or respiratory therapist to teach you airway clearance techniques. Here are 9 airway clearance techniques you can use today. Getting a proper amount of sleep each and every night is vital for the management of COPD and for you to live the highest quality of life possible. As you've seen, there are many factors that can make it extremely difficult for you to get a proper night's sleep. But with the actionable treatments discussed above, we are confident that when implemented properly with the help of your doctor, you can effectively minimize your sleeping problems so each morning you wake up feeling refreshed and ready to conquer the day ahead! What other techniques do you use to reduce the toll of insomnia on your COPD? Leave your answer in the comments below. 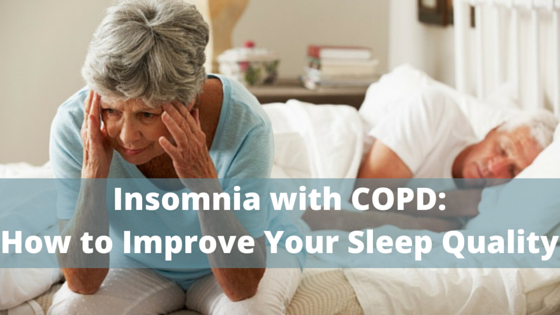 Are your COPD symptoms still keeping you up at night, greatly impacting your quality of life? Download your FREE e-book: 13 simple strategies to help you prevent and manage your COPD exacerbations today.